We love restoration projects and makeovers. “Makeovers are one of the most enjoyable types of projects we do at Signs for Success,” Owner John Bogensberger said. The transformation and final product is always fun to see. 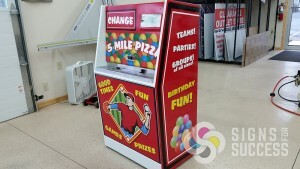 One recent makeover was a wrap advertising project for a change machine. 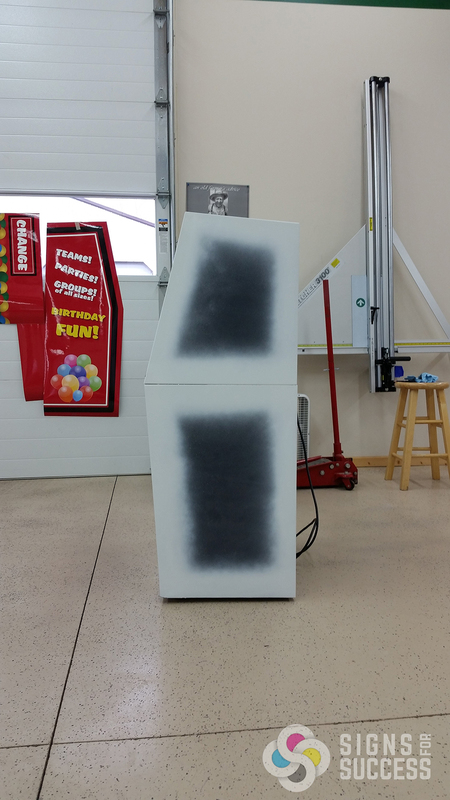 Color change wraps and custom printed wraps can makeover almost anything, from trucks and boats to a beverage cooler – the customer chose a camouflage wrap for his man cave beverage cooler – or even a change machine. “We created a wrap design to cover over an old change machine,” Signs for Success designer Will Oakley said. 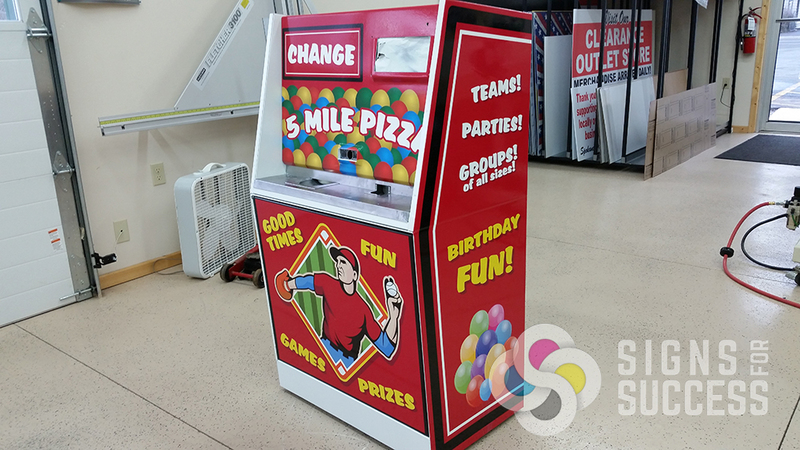 “The design was made to match the theme of the customer’s restaurant.” This custom wrap advertises birthday parties and mirrors the fun atmosphere of 5 Mile Heights Pizza. Signs for Success printed the change machine graphics onto high performance wrap vinyl, then installed the vinyl onto the machine at our facility. 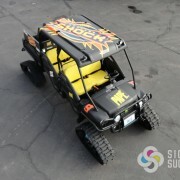 The brightly colored graphics are eye-catching, and they make the old machine look brand new! It’s easy. First strip the old machine of any old graphics or decals, take off any parts that are easily removed, and clean the surface. Next, place the wrap vinyl where you want it. Begin smoothing out the vinyl. If it looks good, go over the surface with a heat gun and smooth with a squeegee tool. If it needs repositioning, pull up the vinyl, reposition, and repeat. Use a sharp blade to cut extra vinyl off or to contour cut around handles, openings or other features. We always recommend having a wrap professionally installed. 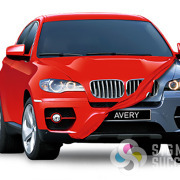 Our installers are Avery Car Wrap Certified, have been through rigorous training and testing, and have successfully installed hundreds of wraps. We want you to get the most out of your wrap advertising, so we make sure the job is done right, and we can guarantee a longer lasting wrap. Contact us for a free quote!